I spent most of my day yesterday (Saturday) working. Sort of. Being a middle school librarian, whenever I’m reading, I’m working. My thoughts usually subconsciously include: Would my students benefit from adding this book to our library? Would my staff? Could my school use this book as a literature circle book? Would this author be a good one to invite for an author visit? The list goes on. The good news is that I really don’t mind “working” overtime because being an avid reader and a former teacher, these questions usually cross my brain anyway. But I didn’t read yesterday. Yesterday was, for me, similar to how I would think people going to ComiCon feel. 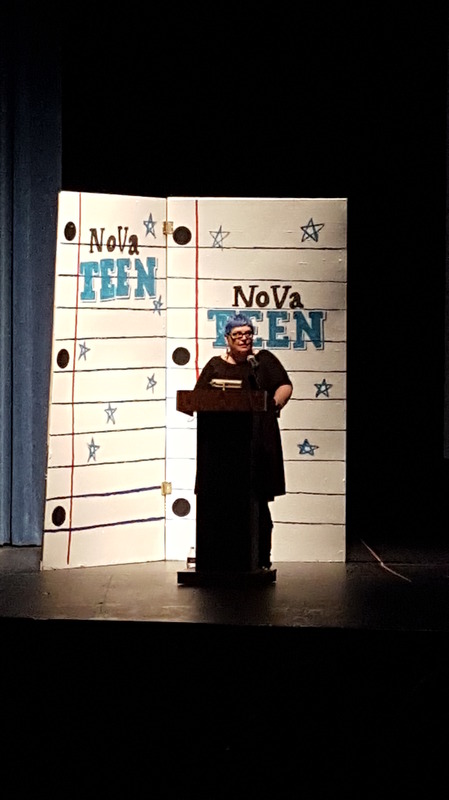 I attended the NoVa Teen Book Festival in Arlington, Virginia, with over 20 authors who presented panels, Q&A sessions, and did book signings. It was free to go! How could I say no? 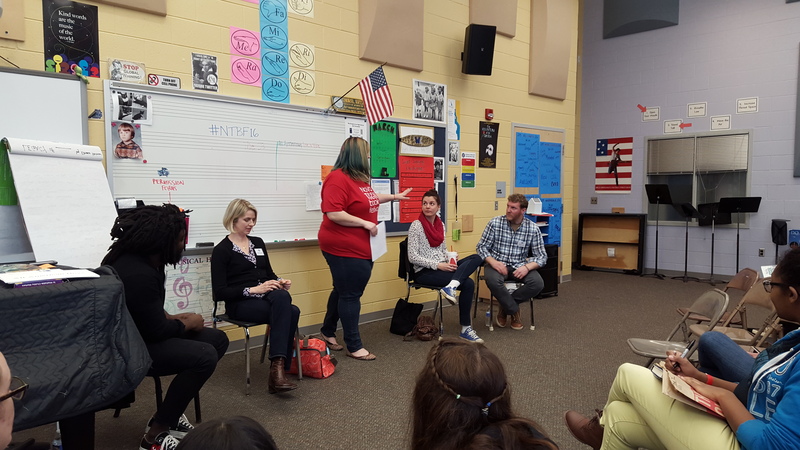 I met Jason Reynolds, Brendan Kiely, Jennifer Donnelly, Maggie Thrash, Josh Sundquist, Jeff Garvin, and SO many more. I was nervous! I was excited! These people, after all, have made me enjoy working overtime. I felt like I already knew so much about them from their works, and then, to actually meet them and put a human to their words. 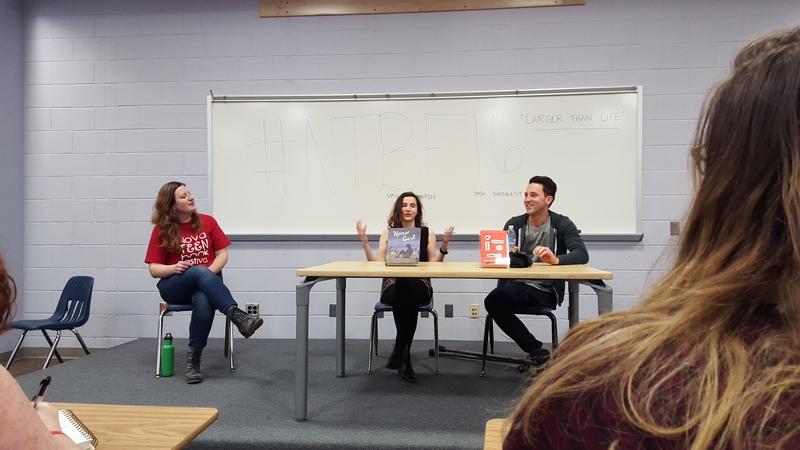 To hear them speak about themselves, their inspirations, and their books was without a doubt a fangirl moment. Brendan Kiely and me! We’re both Bostonians! 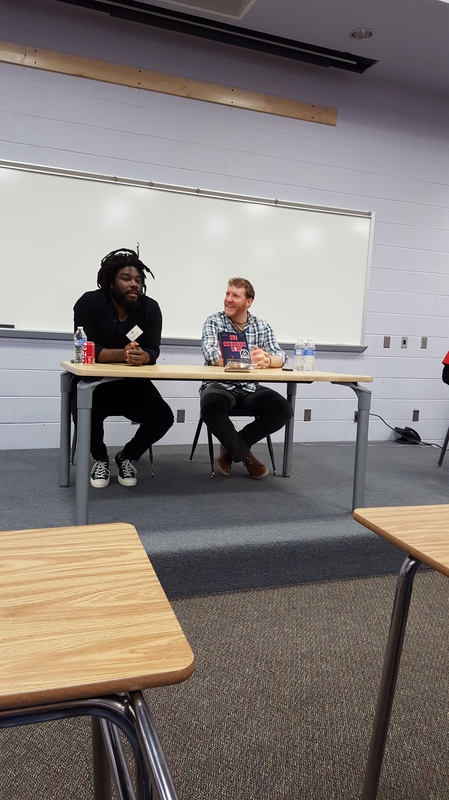 Jason Reynolds & Brendan Kiely talk about the process of writing All American Boys – on different continents! Why does this matter? In a way, it matters because hearing these authors speak and talk to them personally gives me greater respect for them and I’m more apt to read more of their books. 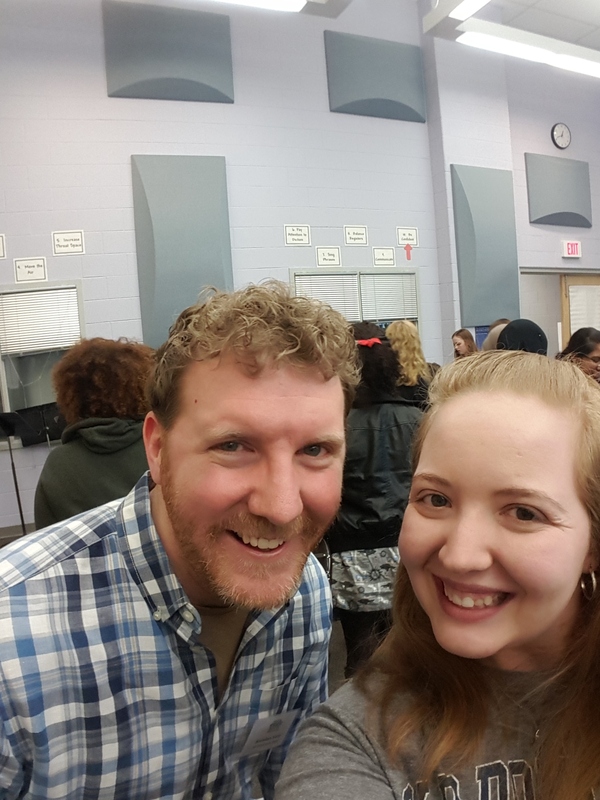 I am more likely to book talk their books, and I can make better connections and conversations with students by mentioning that I have met the author or the story behind the book they are checking out (“You met ____? 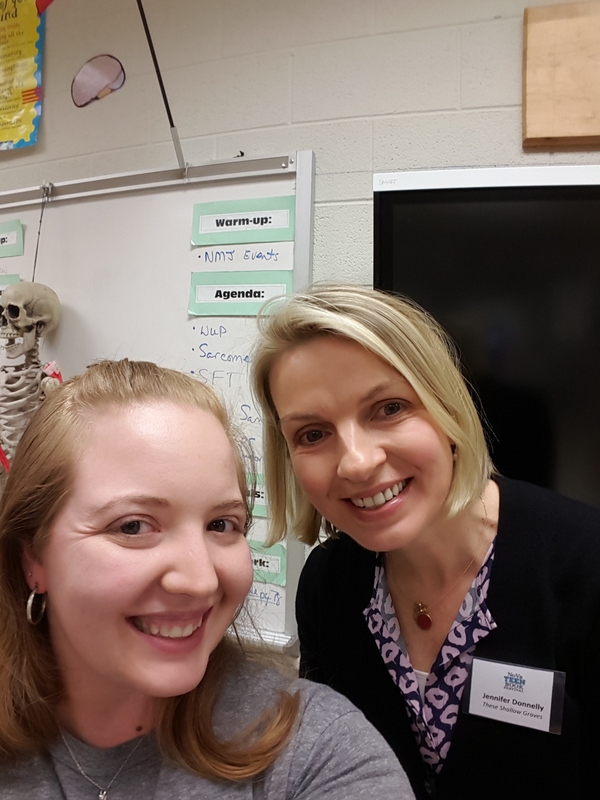 REALLY?”) Somehow meeting authors to some students is like meeting a celebrity. But then again, isn’t it the same way for us librarians, too? Go fangirl! Although I haven’t actually met as many authors at the festivals as it sounds like you have, Rachel, I agree that seeing them in person and hearing their stories adds a dimension to our librarian knowledge of literature that isn’t the same as watching online. We’re lucky to be in an area where there are so many opportunities, but I hear about more places having readings and author visits in book stores and public libraries too. I remember waiting in a long line to have Christopher Paul Curtis sign my copy of Bud Not Buddy at the National Book Festival years ago and he was so nice. Another highlight of my reading life was getting to meet Ray Bradbury at the Novello Festival in at the public library in Charlotte, NC. He signed Fahrenheit 451 and kindly told my friends and me that we didn’t look like the librarians he remembered. Unforgettable. Thanks for the blog. Well done and thanks for taking the time to share your “unpaid overtime” with all of us.